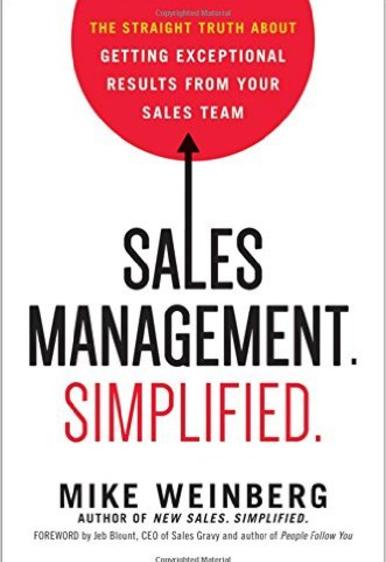 You know there are good books out there, but there’s never enough time — even for the best sales books. So, you push it off. But dedicating just 6 minutes a day to a book can reduce your stress by 68%. And make it easier to make decisions, plan, and prioritize at work and in life. What’s more, reading is a habit that 85% of people who make $160,000 and above per year share. Hint: This tool makes sending emails from your inbox easier (and it helps you reach recipients at the right place and time). Below are 21 of the best sales books for you to pick from to get reading — each with a brief summary, takeaways, and a link to order through Amazon. Get a copy of the 21 books in Google Docs to save for later. Successful leaders have emotional intelligence, meaning the ability to identify, understand, control and assess your own emotions as well as the emotions of others. Here are some books that can help you with that. 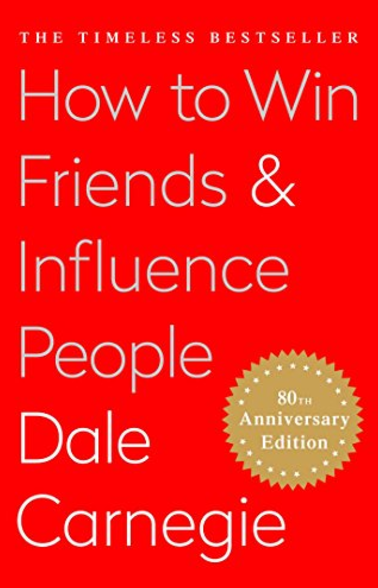 Summary: Carnegie covers 12 actionable tactics to get your way diplomatically in work and life, 6 easy steps to increase your likability, and 9 ways to adjust others’ attitudes. Why you need to read it: You’ll get strategies to start using on-the-job, right away. It’s easy to read and includes real-life stories you can relate to. 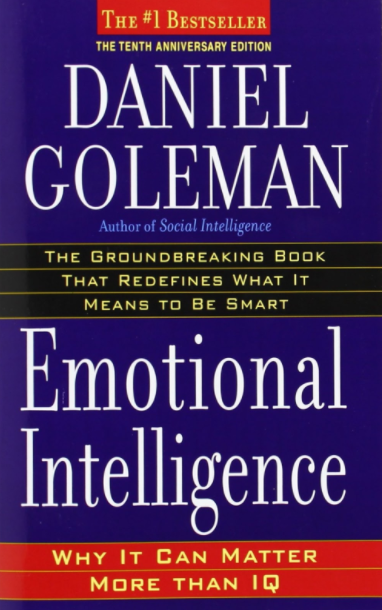 Summary: This book explores our emotional and rational minds, and how emotions operate our brain and impact our decisions. What’s in it for you: Easily applicable to work, relationships, and well-being, this book provides a new look at how our minds work. Goleman’s advice works in decision-making as well as catering your life towards success. Summary: Gilbert believes any passion must be fully backed by love instead of an addiction to the idea of success. 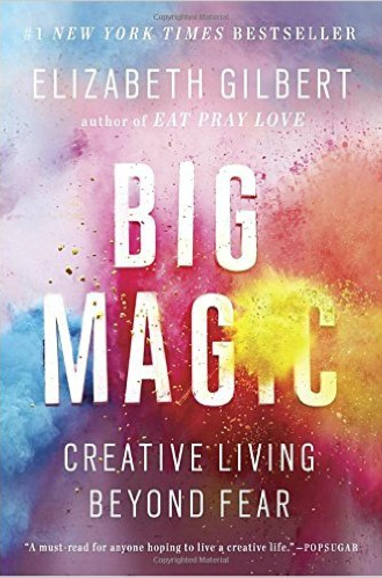 The book is divided into six sections: Courage, Enchantment, Permission, Persistence, Trust, and Divinity and each explores succeeding in your field because of passion (versus the need of money or recognition). What you’ll learn: Actionable approaches and habits to increase your creativity and diminish fear. Ready to test how effective your cold email creativity is? So, you want to sell more products, gain more customers, and leverage existing relationships. 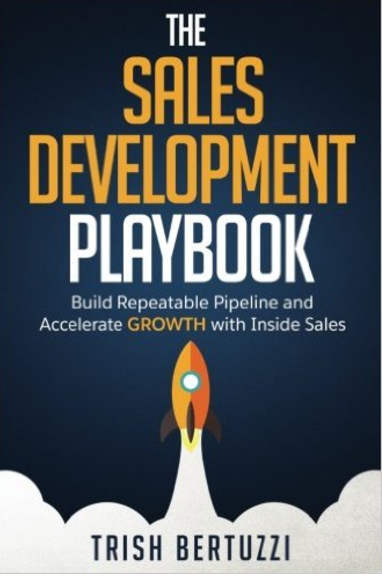 Use the right sales book to help guarantee growth. The books below show you exactly how to move forward and stand out from the competition today. Summary: Great for sales managers and executives. A strategic guide for leading, managing, and building a sales team. Includes six sections: Strategy, Specialization, Recruiting, Retention, Execution, and Leadership. Bertuzzi includes actionable step-by-step guides that ensure growth with inside sales. What you’ll get out of it: Learn how to align your sales model with your market, specialize your team’s roles, recruit with urgency, retain employees, execute onboarding, and set achievable quotas. 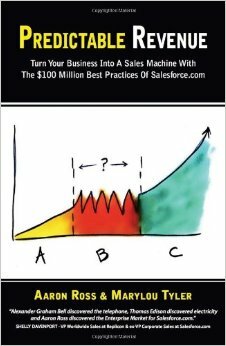 Summary: Renowned as one of the best business books and written by the guy who used outbound sales to add $100 million in recurring revenue to Salesforce.com, this book teaches a repeatable a process to start pulling in more revenue at your organization. What you’ll learn: Find out 7 mistake CEOs and Sales VPs make and find out how to generate a 9% response rate without cold calls or a marketing budget. Summary: A quick read that includes tactics for jumping ahead of your competitors— ones that are clear, entertaining, and involve simple life examples. What’s in it for you: Whether you’re a newcomer or a seasoned vet, you need to learn how to stand out from the competition in order to succeed. Strategy offers insights like applying customer feedback and redirecting your business. Author(s): W. Chan Kim, Renée Mauborgne. 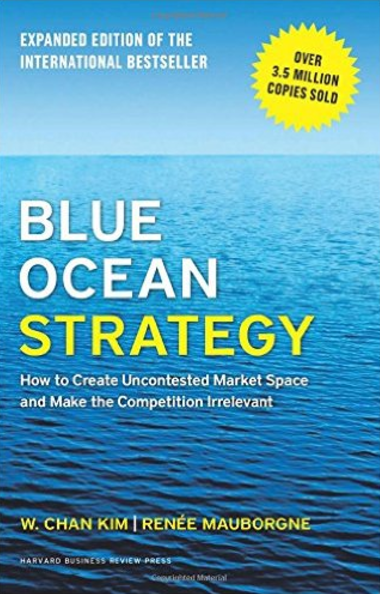 Summary: The book talks about avoiding cutthroat competition (aka bloody, red, shark-occupied waters) by seeking out untapped new market space. What’s in it for you:Find out why Mike Schultz, President of the Rain Group, recommends this book in a Yesware on-demand podcast with our CEO. It is a manager’s responsibility to ensure employees deliver their best work. Techniques differ from person to person, but the main goal stays the same: to get the best out of your team. These are the best sales books to help managers (present and future) coach their teams to success. 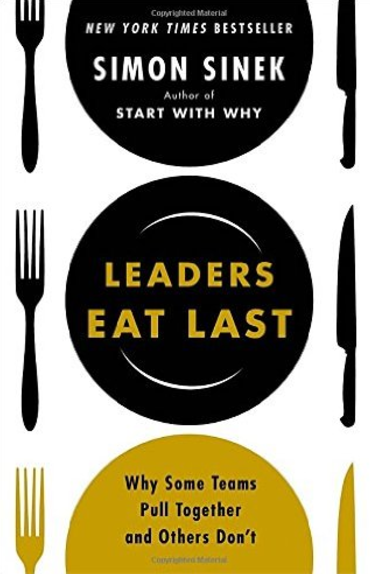 Summary: Sinek combines historical and current events, anthropology and neurochemistry to teach great leadership qualities. Leaders should take action to protect their people, not just treat them well. How it’ll benefit you: Great for current and aspiring managers. You’ll find out why forming a Circle of Trust helps teams succeed, backed by neuroscience and social experiments. BONUS: See the author speak for 99U here. Summary: SPIN Strategy = Situation, Problem, Implication, Need-payoff. This sales book includes real-world examples, graphics, case studies, and hard data. It explains why traditional sales methods won’t work for large sales. 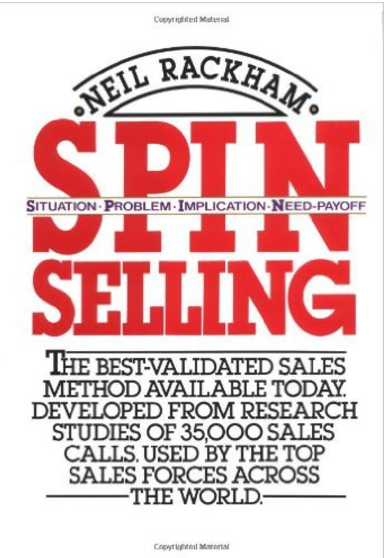 We wrote a blog about all about SPIN selling: what it is, is not, and how it has evolved since it was first published in the 80’s. What you’ll get out of it: The techniques are easy-to-apply and are proven to help readers increase their sales volumes from major accounts. Summary: With funny stories and blunt advice, Weinberg cuts to the core of how most sales teams fail — it’s how they are led. What you’ll learn: How to apply an effective framework for sales leadership, how to coach for success, and tactical ways to keep a high-performance sales culture. Summary: Coaching is key. With Rosen’s help you can create a coaching culture and build the best team possible. You’ll turn around underperformers, build deeper trust, and communicate better. Why you should read: This book shows you how to motivate and develop your team to reach business objectives faster. Includes case studies, a 30-day Turnaround Strategy for under-performers, a library of coaching templates and scripts, and coaching questions to apply in any situation. 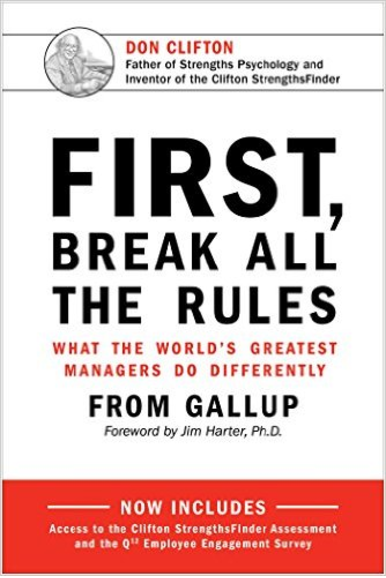 Summary: It’s all in the title: Great managers break rules. Learn how to build upon your employee’s strengths instead of fixing their weaknesses, set great expectations, and get the best out of your team. What’s in it for you: This book is easily applicable to your own situations. It provides career lessons for any manager and tactically applies them to real-life. Did you know that only 30% of workers feel engaged and inspired by their careers? If you’re feeling stuck, think of it as an opportunity to grow. These sales books will motivate you and remind you that you won’t be down for long. Summary: University of Louisville basketball coach Rick Pitino writes a ten-step plan of attack to become a winner in anything you want to achieve. From mastering the art of communication to remaining persistent and keeping a positive mind, this book shows you how to go above and beyond in any situation. What you’ll learn: Motivation. Why settle for being average when you can go above and beyond and achieve great things in life? Overachievement has worked in Pitino’s career and now he’s passing the torch to apply it to any situation. Summary: Bettger shares his insight on how he turned his life from defeat to success. 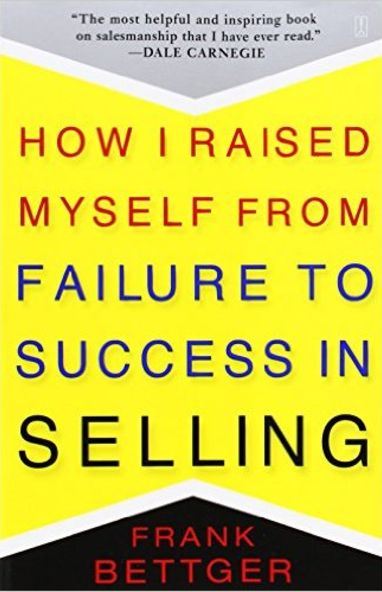 With anecdotes and personal experience, he provides step-by-step guidelines on how to become a winning salesperson. 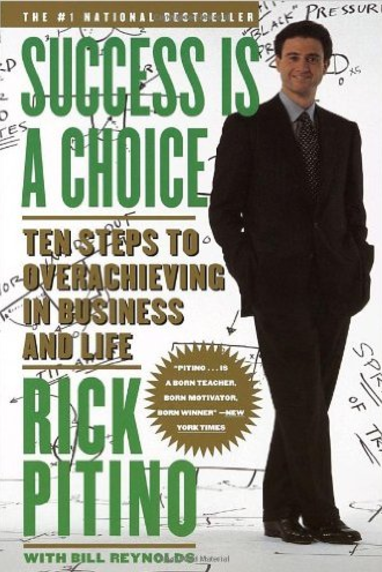 Why you should read: You’ll become more efficient and profitable through Bettger’s insights on enthusiasm, conquering fear, and seven golden rules for closing a sale. Want to get inspired with your outgoing emails? Find out what’s working. Summary: Don’t settle for mediocrity. The 10x Rule tells you how to reach your goals by putting in the extra effort. You must go above and beyond to operate at a fourth level of operation: Massive Action. 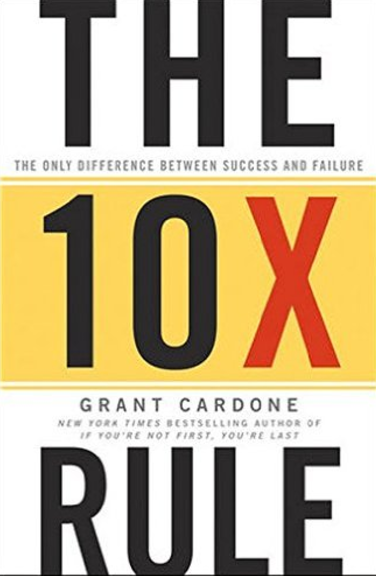 The 10x Rule will teach you how to reach and set achievable goals, use fear as fuel, and to become a role model for success. What you’ll get out of it: The 10x Rule can help you in all areas of your life. You’ll match your goals and dreams with action. 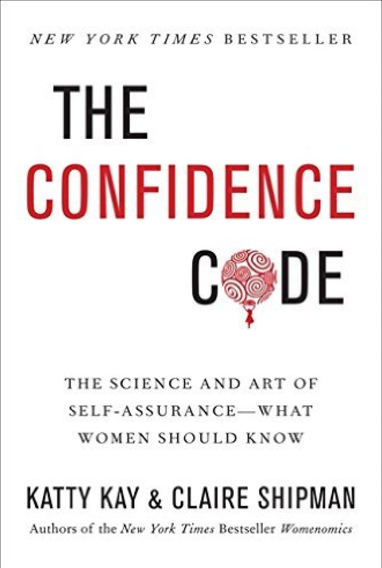 Summary: This book harnesses the importance of confidence and how women can achieve it through every stage of their career. With research and examples, this inspirational book pushes women to achieve more. What you’ll learn:Kay and Shipman offer inspiration and practical advice so women can close the gap and achieve their goals. Less people-pleasing and more action — even if that requires failure. Summary: According to Dixon and Adamson, the best salespeople don’t simply build relationships, they challenge them. 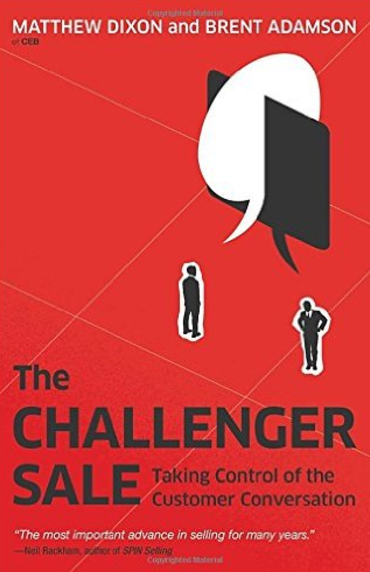 The Challenger Sale suggests classic relationship-building in sales is losing its effectiveness and promotes taking on the persona of The Challenger. What you’ll learn: How to embrace the characteristics of a top salesperson. With the right tools, any rep can reframe customers’ expectations and deliver a catered experience that ensures customer loyalty and growth. According to the Dual-Coding Theory, by imagining yourself in particular situations while you read, you become more apt to succeed. 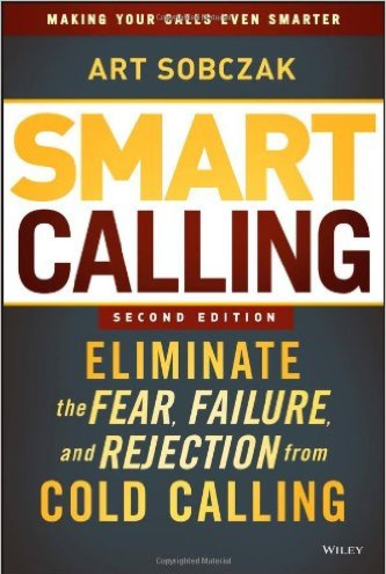 While reading about cold-calling, envision yourself being successful at it. Summary: Learn to take action. Sobczak’s “never-experience-rejection-system” helps readers learn how to entice their prospects. He walks readers through how to research, how to come across as a peer to your prospects, and how to stay motivated. What you’ll learn: This book offers tips and techniques for gaining new business opportunities while getting rid of the fear of rejection. 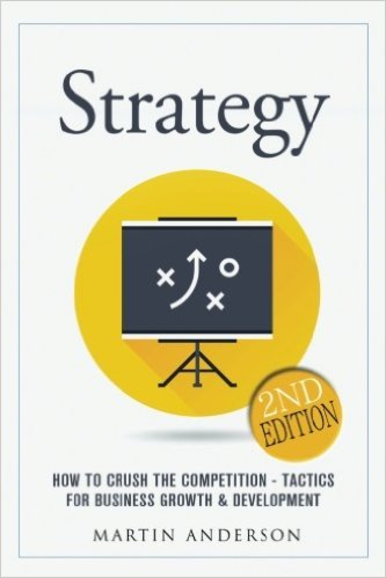 Includes real-life examples and short stories for reference to build and improve your strategies and techniques. 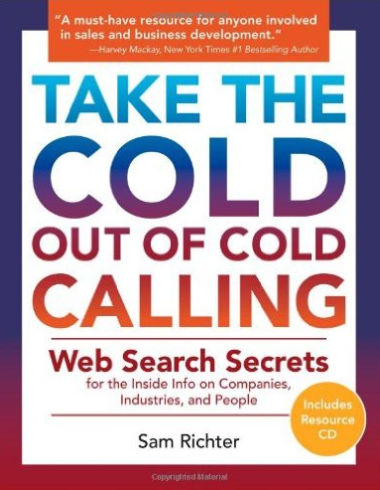 Summary: Richter’s book focuses on the research aspect of cold calling. He dives into accessing online information — how to find it and how to use it. There are step-by-step instructions and examples on everything from how to use Google like a pro to accessing highly qualified lead lists for free. What you’ll learn: The importance of online research and how these techniques can further your success. This is the step before the cold call, where you can specifically cater your information for personalized audience. 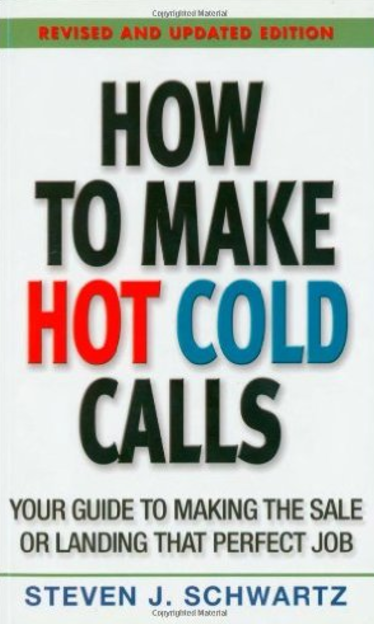 Summary: Transform your cold calling methods into one of your strongest suits. Schwartz combines real-life business examples, anecdotes, and exercises to prove his points. This new edition focuses on the language of sales and the power of words. Why you should read it: You’ll learn the power of words within cold calling and diminish the fear of reaching out to strangers. Automatically book meetings with this handy tool [free trial]. 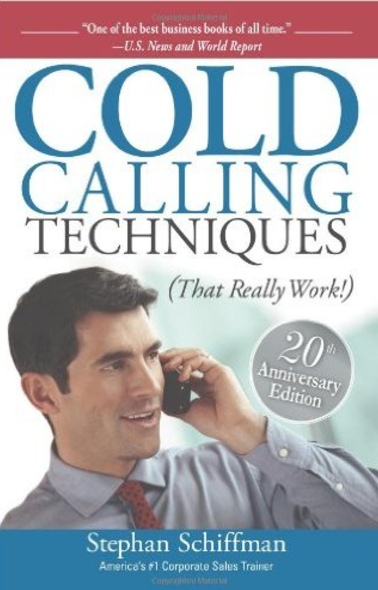 Summary: This guide will help you defeat cold calling obstacles from a seasoned coach who has trained over 500,000 sales professionals at over 9,000 companies such as IBM, AT&T, and CIGNA. Improve your pitches, commission, and opportunities. Why you should check it out: Schiffman reminds you to focus on what matters: Setting appointments and providing customers with personal contact. The ideas are simple in the best way, and remind the reader that common sense goes a long way. Want a copy of these books for later? Get your cheat sheet here. 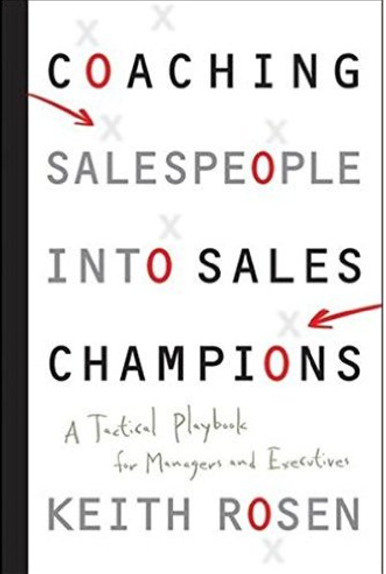 What are your favorite sales books? Feel free to tweet @Yesware. Enjoy your new reading list! Senior Content Marketing Specialist at Yesware.